Becoming a teacher in the great state of Nebraska will prove to be one of the most rewarding things you can do. Here are some of the steps you will need to take in order to become an educator in Nebraska. You will first need to choose what type of teacher you want to become. What do you want to teach? Do you have a passion for a specific subject? If so, you should consider teaching middle school or high school. If you prefer to teach multiple subjects, you should consider becoming an elementary school teacher. To learn more about students and teachers in Nebraska, visit the Nebraska Department of Education site. In Nebraska, the basic education requirements for becoming a certified teacher are obtaining a Bachelor's Degree and completing a teacher education program. In order to get proper endorsement, the teacher education program should focus on the area you would like to teach. This means that teachers must be professionally trained through an approved educator preparation program to teach in one specialty subject or a certain range of grade levels. Each endorsement requires specific coursework. In addition to the coursework, teaching candidates in Nebraska are required to take a course on human relations. In order to get an endorsement in Elementary Education, you will need to complete specified coursework. Some of the classes you will take may include: elementary curriculum, instructional strategies, child development, cross-cultural communication skills, classroom management, and education history. In addition, you will take methods courses in English language arts, mathematics, history/social studies, and science. Lastly, you will have the option to take elective courses such as fine arts, humanities, and health and wellness. To get an endorsement to teach the Middle Grades (4th - 9th) in Nebraska, you will need to complete semester hours/units dedicated to middle level education courses. In addition, you will need to take courses dedicated to two or more Content Areas of Specialization. Each Content Area of Specialization will require a certain amount of units. If you would like an endorsement in Music ( K-12th), you will need to complete courses in composition, conducting, theory, music history and literature, performance, and techniques. In order to get an endorsement in Secondary Language Arts (7th-12th), you will need to complete courses in the following: writing, reading, speech, journalism and mass communications. To become endorsed as a Secondary History teacher (7th-12th), you must complete a specified amount of semester units. You will take several history courses and some in one or more of the following areas: geography, psychology, economics, or political science. An endorsement in Secondary Mathematics (7th-12th) will require that you take related mathematics courses. To get an endorsement to teach Secondary Natural Science (7th-12th) you will complete several laboratory based courses in the natural sciences including biology, chemistry, earth science, and physics. There are alternative routes to teacher certification in Nebraska designed for individuals who have not completed a traditional educator training program. If you hold valid teaching certification from another state, you may be able to transfer your certificate to Nebraska. 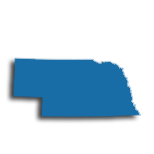 The Nebraska Department of Education may request additional state requirements. 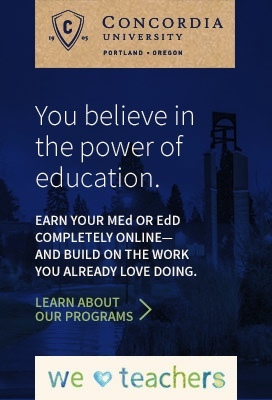 If you have a Bachelor's Degree from an accredited institution, but have not yet completed all of the traditional education program requirements, a school may request a Provisional Commitment Teaching Certificate. This is a provisional certificate as it is only valid for one year and only applies to the school that requested the issuance. However, if you show progress toward full certification, this provisional certificate can be renewed. The next step to becoming a teacher in Nebraska is to pass certain tests. You will have to pass a basic skills test that will assess your knowledge on fundamental areas of teaching. You will also need to pass a subject area competence test. In Nebraska, the Praxis Core Academic Skills for Educators tests are the approved Basic Skills test for teacher credentialing. Passing scores must be achieved in Reading, Writing and Mathematics. Starting September 2015, candidates applying for any initial endorsement(s) in Nebraska will need to pass the Praxis II subject matter competence test as well. This test should be taken in the area you want to become certified in as it will be used to verify your content knowledge. The test includes three portions: subject assessment, principles of learning and teaching, as well as a teaching foundations test. The last and final step for you now is to simply find a great job! Once you have met all the requirements to becoming a certified teacher, you will be ready to begin your career as a teacher. There are so many great schools in Nebraska, therefore the sky's the limit for you and your career! The state of Nebraska has mounted an active campaign to ensure that it continues to have a pool of qualified teachers to hire from. In this vein, the state Department of Education has created an auxiliary website at nebraskaeducationjobs.com in order to help match potential candidates with employers. The site also contains information about teacher certification, job fairs in the state, and relevant online resources. In the public sector, after a teacher has been hired, he or she may join the local teacher's union. In Nebraska, teachers join the National Education Association (NEA) or the Nebraska State Education Association (NSEA). Both organizations are advocates for teacher rights from labor and legal perspectives. Upon retirement, teachers are eligible to draw a pension from the Nebraska Public Employees Retirement Systems (NPERS). In addition to offering a monthly allowance based on individual factors, NPERS offers survivor benefits, planning seminars, and disability benefits. Employment in the public sector is not for everyone. Some teachers may prefer and benefit from working in a private school environment. Nebraska's has over 230 private schools. Keep in mind that salary, benefits, and career advancement may be different than schools in the public sector. The table below lists the number of public school teachers in Nebraska by grade level during the 2012-2013 school year. There are more than 210 private schools with an estimated 2,600 private school teachers in Nebraska. The table below details the number of teachers by grade level during the 2011-2012 school year. Professional development with the goals of student achievement and collaborative leadership ensures that teachers continue to improve their practice on an ongoing basis. There are a number of platforms and venues for effective professional development including conferences, in-services, webinars, and courses. When researching professional development options, teachers should ensure that they clearly understand their district's goals for educators, and that offerings are relevant to the needs of the classroom and school. The State Department of Education in Nebraska is committed to ensuring that teachers have learning opportunities that meet the above mentioned needs. Through a variety of organizations and agencies, both in the state and online, Nebraska teachers can find offerings that suit their needs. Some universities in the state, like the University of Nebraska, have partnered with the Department of Education to create professional development offerings. Finally, organizations like Nebraska's Lied Center offers opportunities to participate in professional development throughout the year. Teachers are encouraged to use these and other resources to find high-quality professional development that suits their needs. The Nebraska Department of Education acknowledges educators who have earned a master's by offering the optional Professional Teaching Certificate. Your Initial Teaching Certificate is valid for a period of five years, during which time you must complete at least two years of teaching experience. You'll then advance to a five-year, renewable Standard Teaching Certificate. However, earn your master's degree and you'll qualify to advance to the optional 10-year Professional Teaching Certificate. You'll need at least two years of teaching experience and a master's degree in special education, educational technology, curriculum and instruction, or in an area related to your content area. There are no continuing education requirements for renewing your Standard or Professional Teaching Certificate if you meet the teaching experience requirements. In addition to broadening your skillset, qualifying for more professional opportunities, and bringing a higher level of expertise and knowledge to your classroom, a master's degree can also earn you a larger paycheck. According to salary schedules compiled by the Nebraska State Education Association, all public school districts in the state pay more for master's-prepared educators. For example, educators in the Omaha Public School District earn a minimum salary of $41,150; however, those with a master's degree earn a minimum salary of $45,265 - an increase of more than $4,000 annually. Similarly, educators in the Lincoln Public Schools earn a minimum salary of $43,981, while those with a master's degree earn a minimum salary of $46,069 - a difference of more than $2,000.